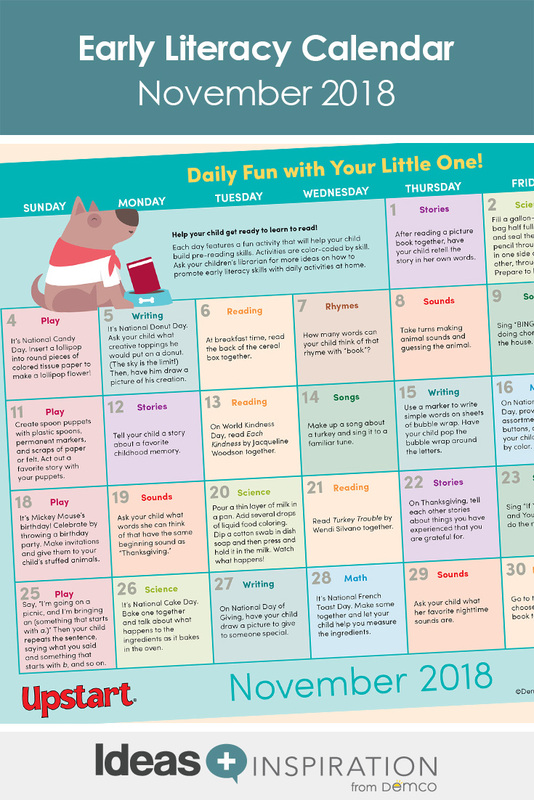 Early Literacy Activity Calendar: November. Books, Celebrations and more! 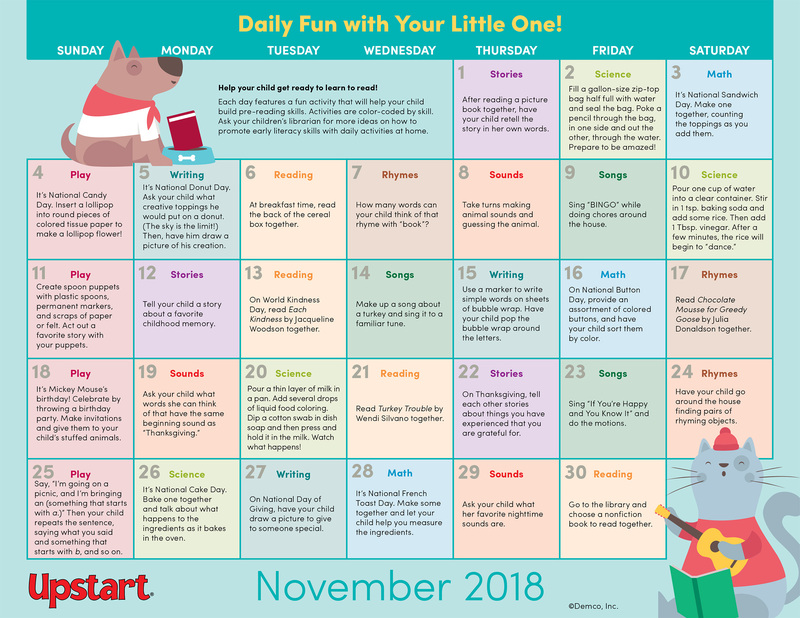 Early Literacy Activity Calendar: November. Books, Celebrations and more! Parents will be thankful for these simple early literacy activities they can do at home with their kids! November is overflowing with activities and books about autumn and Thanksgiving, as well as special days like National Candy Day and Mickey Mouse’s birthday!